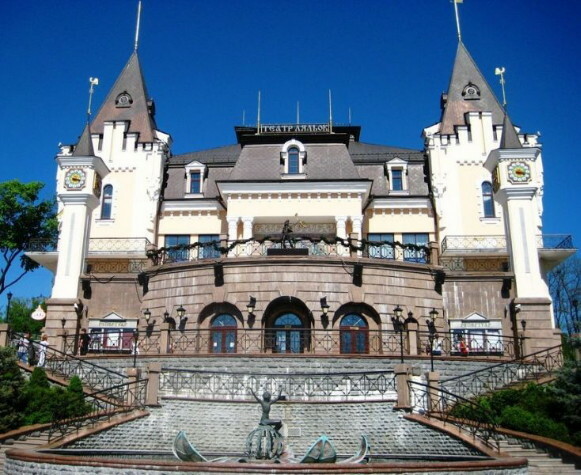 Kyiv Puppet Theater (Київський державний академічний театр ляльок; Kyivskyi derzhavnyi akademichyi teatr lialok). 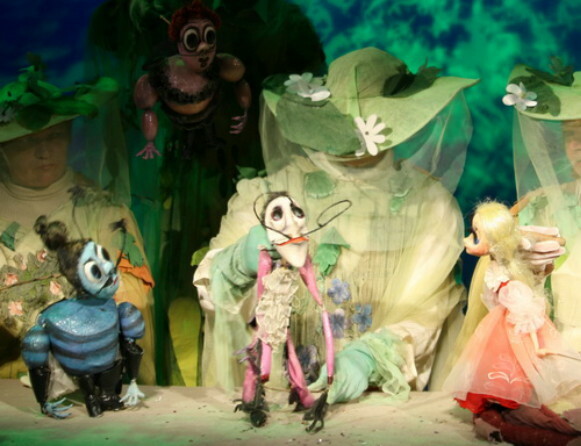 A puppet theater in Kyiv. 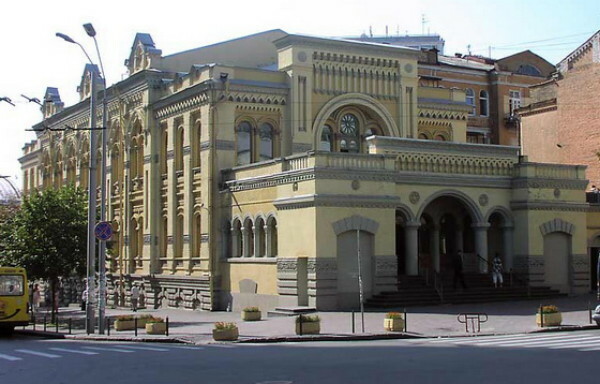 Founded in 1927 as a branch of the Kyiv Young Spectator's Theater, it was turned into an independent theater in 1929. In 2002 it was granted an academic theater status. Its repertoire has included Anatolii Shyian’s Ivasyk-Telesyk, H. Usachov’s Kotyhoroshok (Pea-roller), Yu. Chepovetsky’s Mysheniatko Mytsyk (Mytsyk the Mouse) and Dobryi Khorton (The Good Khorton), Bohdan Chaly’s Barvinok za synim morem (The Periwinkle beyond the Blue Sea), S. Mikhalkov’s Tri porosenka i seryi volk (The Three Little Pigs and the Gray Wolf, in Russian), V. Lopukhin’s and V. Novatsky’s Pryhody dopytlyvoho charivnyka (The Adventures of the Inquisitive Wizard, an adaptation of Karel Čapek’s story), D. Kardash’s Pryhody bilcheniatka Mishi (The Adventures of the Little Squirrel Misha), V. Azov’s and V. Tykhvynsky’s Lial'ka spadkoiemtsia Tutti (The Doll of Crown Prince Tutti, an adaptation of Yurii Olesha’s story), and Mavgli (based on Rudyard Kipling’s story in The Jungle Book). The repertoire for adults has included Yosyp Shveik proty Frants Iosyfa (Joseph Schweik against Francis Joseph, an adaptation of Jaroslav Hašek’s The Good Soldier Schweik) and Vladimir Maiakovsky’s Klop (The Bedbug). Since 1993 M. Petrenko has been its director.